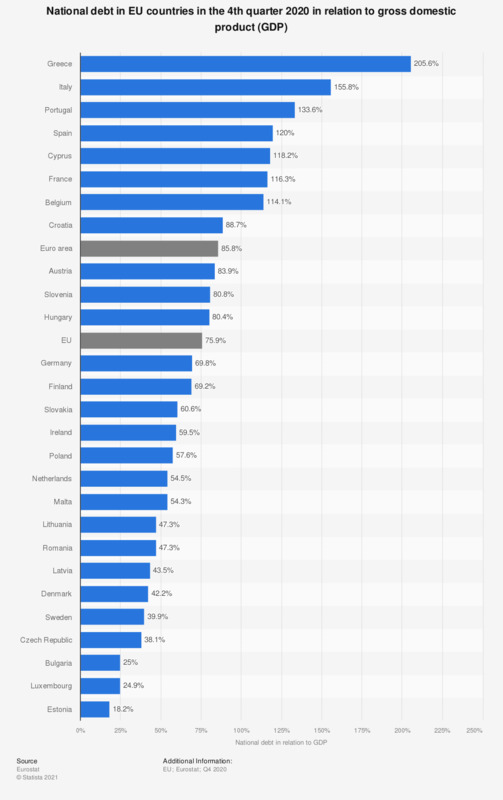 The statistic shows the national debt in EU countries in the third quarter of 2018 in relation to gross domestic product (GDP). The data refer to the entire state and are comprised of the debts of central government, provinces, municipalities, local authorities and social security. In the third quarter of 2018, Greece's national debt amounted to 182.2 percent of gross domestic product. The overall EU GDP amounted to almost 14 trillion euros in 2014.